I couldn’t help but agree at the time, and if you take that to its logical conclusion, things didn’t look so good for Apple. They are rumored to be ramping up efforts to build their own 5G modems, but that will take time. At least a year and possibly two, no matter how much time and money they pour into the effort. Then there is the other issue with Apple rolling their own- they would still have to pay some amount of patent licensing to Qualcomm for the technology. If not, they would risk further trade disputes, injunctions and legal battles. Well, this isn’t a problem anymore, as cooler heads suddenly prevailed today and Apple and Qualcomm put away the big guns. According to the press release from Apple, the two companies have ended all pending litigation worldwide and signed a new six-year licensing agreement that can be renewed further down the road. 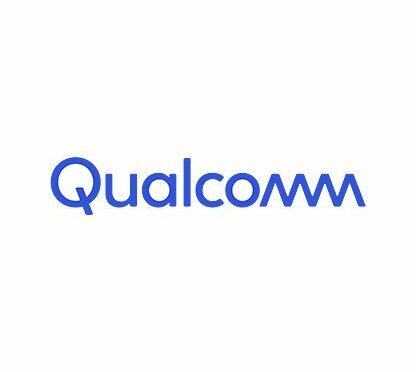 Apple also paid an undisclosed sum to Qualcomm as part of the deal. So who wins in this deal? Frankly, both companies do. Apple was putting itself at a technological disadvantage in the short term and risked having to pay Qualcomm billions if their legal gambit failed. On the other hand, Qualcomm faced having its entire business model wiped out by a motivated foe with enough money to take the fight the distance. The loser of this fight would have lost big and found itself over a barrel going forward. If I had to pick one, I do think Qualcomm came out a little ahead. They got a one-time payment from Apple, presumably to make up for the royalty payments they have withheld for the last two years. They also got Apple’s chip business back for the foreseeable future, which will help their bottom line. It was enough to also boost their stock price by 20% today. It wasn’t a landslide win, but I do think they came out ahead. So who is the loser here? Hands down, it’s Intel. There is no guarantee that Apple will completely abandon them yet, but the writing is on the wall. Apple has renewed their deal with a company that has superior technology, which means Intel’s biggest current customer may be headed toward the door. As for Apple fans, today’s news is good on several fronts. It insures Apple’s call modems will be the latest and greatest again. it means they will have access to the best 5G modem in the business when they decide to make that move (still probably next year), and it also means that they will be set up to license the necessary patents if they decide to make their own 5G modems in the future. The bonus prize? The deal got done early enough to insure Apple will have access to Qualcomm chips for devices released the rest of this year. Today was very good news in that respect. You know what else is good news for me? Not writing about Apple and Qualcomm suing each other all over the world anymore.